To bring you this! Is he cute or what? We think Junior has a bad case of adorableness! 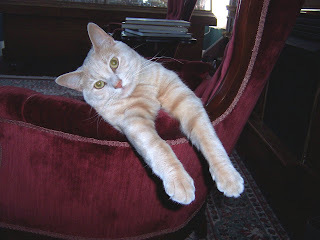 He does that all the time, hangs his legs way out over the edge of the Victorian chair upstairs!